Laura Benanti has said that Eliza Doolittle is her dream role: and this coming from a Tony-winning star who has already lit up productions of The Sound of Music, Gypsy, Wonderful Town, Nine and She Loves Me. 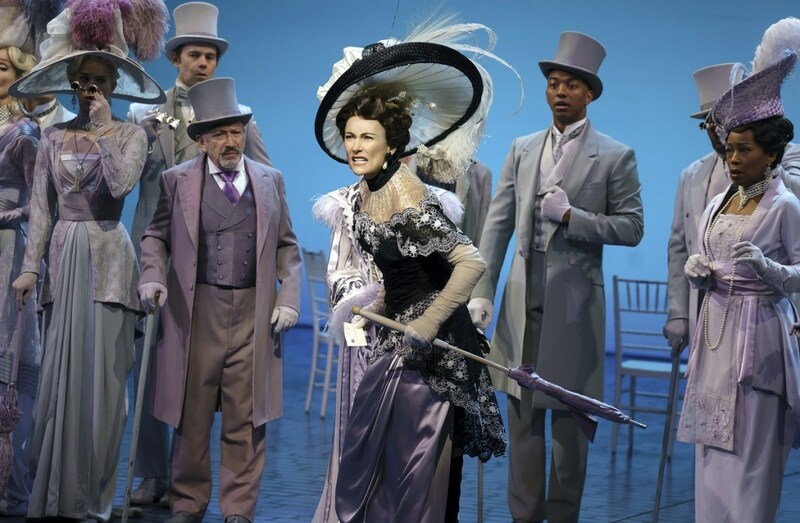 But as she proves again (and again) throughout the delectable Bartlett Sher staging of My Fair Lady, some dreams do come true—for Benanti and for her audience. Benanti is simply a splendid and sympathetic Eliza right from the start, nailing the feisty flower girl’s nearly impenetrable cockney accent when she meets chauvinistic linguist Henry Higgins, who takes a bet to transform her from guttersnipe to princess. Benanti beautifully embodies Eliza’s evolving personal journey from an ignorant to an enlightened young woman, cherishing her own values even more when she sees how the pompous one percent lives. Benanti does everything right. She has a wicked sense of humor and a proportional sense of tragedy; she has the feistiness to stand up to Higgins (a drolly superior Harry Hadden-Paton) and her own father, the indefatigable Alfred P. Doolittle (the agile and winning Danny Burstein), but also treats Henry’s mother Mrs. Higgins (the ageless Rosemary Harris) with respect and her own rich, besotted suitor Freddy (velvet-voiced Christian Dante White) with tenderness. And, of course, Benanti’s singing is peerless, from her joyful on “I Could Have Danced All Night” to her fierce “Just You Wait” and heartbreaking “Wouldn’t It Be Loverly?” She also looks the part, wonderfully and authentically, in Catherine Zuber’s exacting costumes. Praise is also in order for Michael Yeargen’s remarkably precise sets, Michael Holder’s exquisite lighting and Christopher Gattelli’s clever choreography. Lerner and Loewe’s classic songs sound sumptuous thanks to Ted Sperling’s musical direction. Bartlett Sher’s fresh reinterpretation of Lerner and Loewe’s show—based on Bernard Shaw’s still-relevant exploration of class and gender differences—puts a 21st-century gloss on one of the greatest musicals ever. But above it all is Laura Benanti, who makes another iconic role expressly her own in a masterly performance.